In 1960’s Toronto, a shorthaired cat named Elizabeth gave birth to the kitten that would take his place in history as the progenitor of the Canadian Hairless breed, later called the Sphynx. This unusual kitten was named Prune – reference to the smooth, wrinkled appearance of his hairless body. After his owners recognized the breed potential of a kitten who looked like an alien prune, this kitten’s birth lead to a decade of selective breeding. 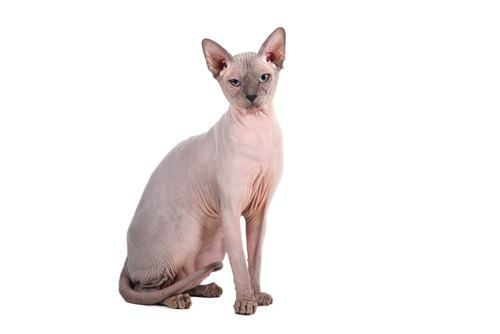 Eventually, the world’s first natural litters of hairless cats were born and the Canadian Hairless cat was a reality. Sphynx cats don’t have thick fur coats like most cats do, but are instead covered in a fine, soft fuzz. Some describe them as feeling like a warm peach to the touch. A few Sphynx cats are born with almost completely bare skin. These are described as “sticky bald” and feel a bit rubbery to the touch. Their lack of fur makes the Sphynx a cat who can’t resist a fireplace or blanket fort – it’s not unusual for these cats to tolerate a sweater or jacket in cold weather. Perhaps because they require more external heat than most cats, Sphynx cats are extraordinarily clingy, always apt to snuggle up with a human. What are Sphynx cats’ unique dietary needs? Like all cats, the Sphynx breed requires a species-appropriate food that nourishes them according to their natural biological needs. But when it comes to special needs, the Sphynx is fortunate to be a healthy little hairless sprite – free from the hereditary health conditions associated with other purebred cats. That said, there are a couple of things to bear in mind when choosing food for your Sphynx. They have a high metabolism. Because the Sphynx cat has no fur, their metabolism works overtime to keep their body warm without the use of a fur coat. The Sphynx’s skin temperature is about 4 degrees higher than that of the average cat. Some Sphynx guardians observe that their hairless Sphynx kitties are both more food-oriented and less finicky than their furred housemates. Because they have such fast metabolisms and, as a consequence, almost insatiable appetites, some recommend feeding Sphynx cats multiple small meals throughout the day. This is a good idea for the active Sphynx metabolism and appropriate for cats of every breed. As predators, cats benefit from eating multiple tiny meals throughout the day. Because it’s easy and safe to leave kibble in a bowl all day, some suggest that dry diets are best for the Sphynx. Using dry food to constantly satisfy your Sphynx cat’s appetite is a short-sighted approach. You’re supporting their ravenous appetite, but you’re also giving your cat a dehydrating food that can’t possibly nourish their body adequately. So what’s the ideal approach? If you have the time, give your Sphynx three or more small, moisture-rich meals throughout the day. If you aren’t able to feed your cat that frequently, two meals a day will work just as well. Choose a calorie-dense food with hearty doses of fat and protein. 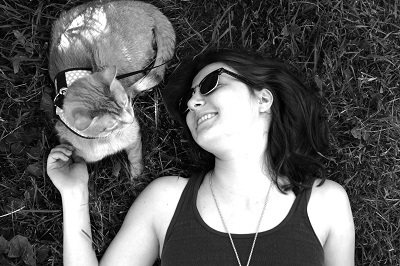 Although there’s no known connection between food sensitivities and Sphynx cats, personal experiences tell a different story. Experts insist that the Sphynx shouldn’t suffer from digestive issues more than other, furrier, felines. But after reading numerous stories on Sphynx forums and other sites, it looks like something is going on in the Sphynx digestive system. Sphynx guardians tell stories of reeking litter boxes, paws packed with poop, and repeatedly refer to loose bowels. Either these cats are dealing with the same litter box problems that any cat may encounter, or there’s a connection between the Sphynx breed and digestive issues. If you find that your cat’s waste smells unusually foul, opt for a low-residue diet. Diets packed with grains and other high-carbohydrate ingredients contribute to the amount of waste that your cat produces. With more waste comes intensified odor in the litter box. Most Sphynx cats need nothing more or less than the same high-quality food you might give another cat breed. If your Sphynx suffers from digestive issues, consult your veterinarian to rule out serious health issues. Eliminate potential allergens and avoid high-waste ingredients like grains and other high-carbohydrate fillers. You don’t need to buy a breed-specific food for your Sphynx cat. 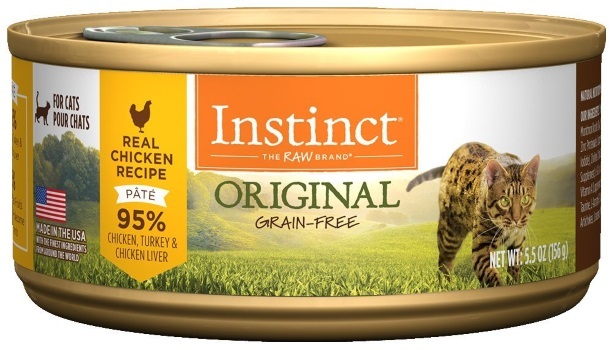 Royal Canin sells a food made and marketed specifically for Sphynx cats, but this food is a dry kibble with brewers rice as the first ingredient. Being hairless doesn’t mean that the Sphynx doesn’t require the same high-quality nutrition that every cat deserves. Nourish your Sphynx’s active appetite with this high-energy blend of bone-in duck, goose, and turkey. This freeze-dried food harnesses the species-appropriate nourishment of raw meat and organs while eliminating the pathogens that might hitch a ride. Because it’s freeze-dried, the food is shelf-stable and safe to handle, making it a more convenient choice than raw food. 98% of the recipe is poultry, organs, and bone. The rest of the recipe includes probiotics to support your Sphynx’s digestive health, along with additional vitamins, minerals, and amino acids. The dry version of this food is recommended by Catological as one of the best foods for your Sphynx kitty. This Wellness CORE food is primarily made from meat ingredients, is rich in highly-digestible protein, and is free from grains, potatoes, corn, soy, wheat, and artificial ingredients. The inclusion of omega-3-rich salmon oil helps to keep your Sphynx’s skin supple and minimizes inflammation in the body, while a trace of yucca schidigera extract may be able to minimize stool odors. 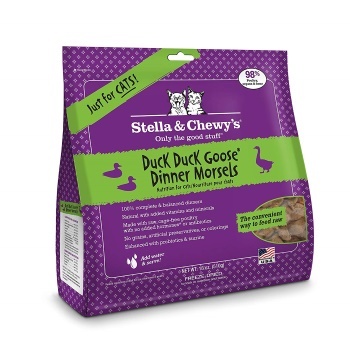 Duck is a high-fat meat, making it perfect for your Sphynx’s high energy needs. 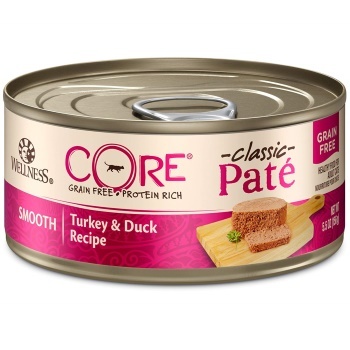 This meat-based pate is composed of 95% duck and turkey liver, so there’s very little in this food that isn’t highly-digestible, high-quality energy for your cat. No corn, soy, wheat, or fast carbohydrates contribute to the remaining 5% of the recipe. The food isn’t perfect. Instead of fish oil, it’s made with ground flaxseed, which isn’t an ideal source of the omega-3 fatty acids that could help keep your cat’s coat healthy. 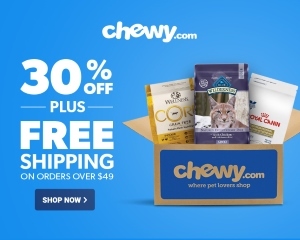 If, like many others, you want to feed your Sphynx cat raw food, these freeze-dried nuggets might be a convenient solution. 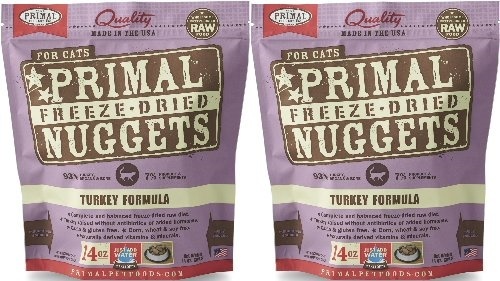 These raw nuggets are turkey-based and don’t contain any of the most common cat food allergens. Fresh meat, organs, and finely ground raw bones constitute 97% of the recipe. For an obligate carnivore, these are biologically-appropriate sources of vitamins, minerals, fatty acids, and amino acids. The recipe also includes sardine oil and cod liver oil for a skin-nourishing fatty acid boost. For Sphynx cats who are miserable unless they can eat throughout the day, these jerky-esque bits of dehydrated meat make a perfect supplemental meal. Because this is a dehydrated food, it’s important to pair it with something moisture-rich. 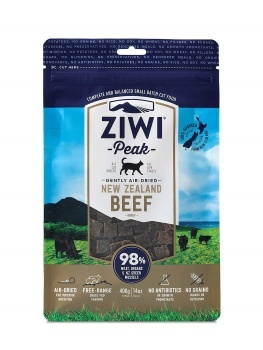 This formula from Ziwi Peak is made with simply dehydrated beef muscle meat, organs, and bones, along with tripe and green-lipped mussel. Each scoopful of this calorie-dense food delivers an energy punch unequaled by almost any other food on the market.